Last week I wrote about making whole wheat pizza dough. Starting today, I’ll be giving you lots of ideas for topping the dough! 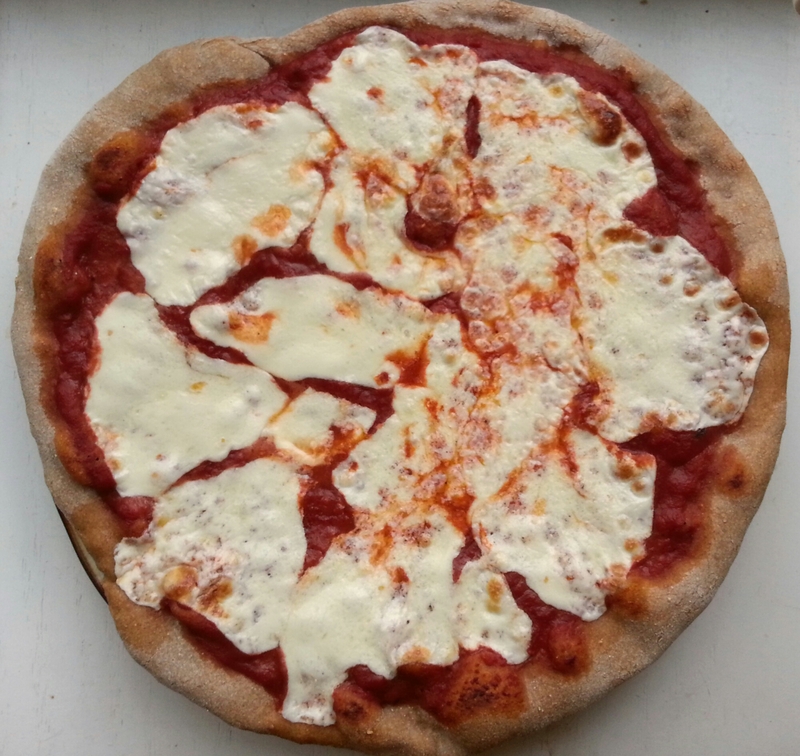 I’ll be posting some different recipes over the next few weeks, starting with the classic: pizza marghuerita. This is an incredibly simple recipe that tastes incredibly good. Preheat pizza stone in a 500°F for about 30 minutes. Roll out pizza dough and place on peel. Top with crushed tomatoes, followed by mozzarella. Sprinkle with salt and freshly ground pepper, if desired. Transfer pizza from peel to preheated stone. Bake 7-8 minutes at 500°F, until cheese bubbles and edge of crust has slightly browned. Looks great and feel free to check out my top 10 pizza toppings post for any extra inspiration!